After two years of negotiation, an agreement is reportedly being signed between Iran, the United States and several other nations to limit the development of Iran’s nuclear program. Iowa U.S. Senator Chuck Grassley says he’s only hearing bits and pieces so far about what’s included in the deal, which aims to keep Iran from becoming a nuclear power while easing sanctions on that country. 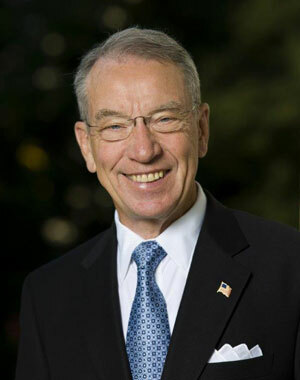 While it was not a perk that was on the table initially, Grassley, a Republican, says he’s still fuzzy on how much access to Iranian bases U.S. inspectors would have. “One thing I haven’t heard anything about, can it be on-the-spot inspections?” Grassley says. “That would make it very enticing to me to say it was a good agreement.” Another element Grassley says he would favor is to gradually phase out the economic sanctions that are putting a squeeze on Iran’s growth. “Iran was arguing that the minute the agreement is signed, or let’s say 30 days after the agreement is signed, all sanctions ought to go away all at once,” Grassley says. “Well, then let’s suppose Iran doesn’t carry out the agreement. Then, in a sense, Iran’s got its cake and can eat it, too.” The agreement is expected to face tough opposition from Republicans in Congress, which has 60 days to approve the deal. Diplomats from the U.S., China, Germany, Russia, the U.K., and France have been working on the agreement since 2013.